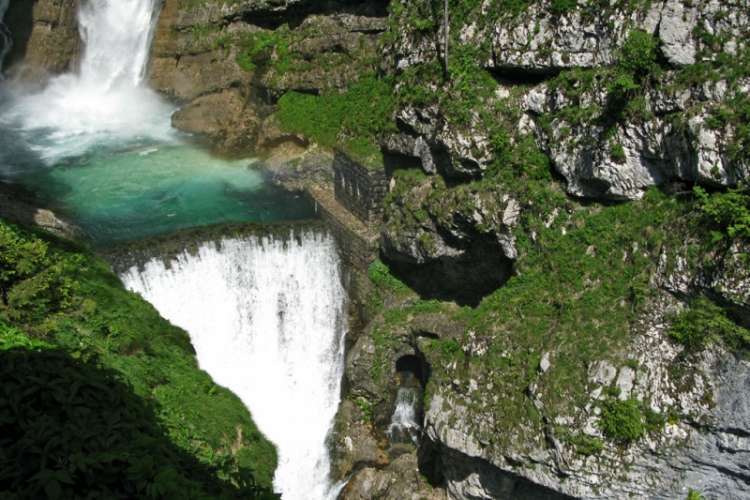 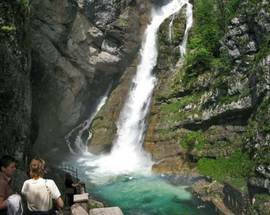 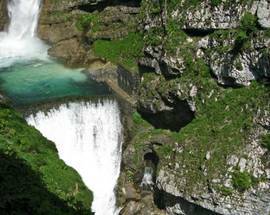 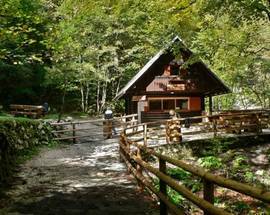 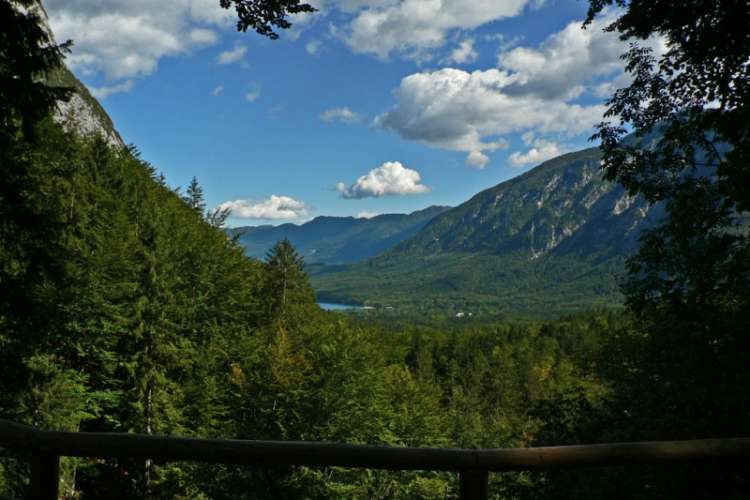 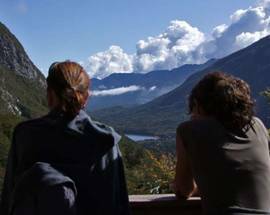 Your time spent in Bohinj would not be complete without a day trip to one of Slovenia’s greatest waterfalls. 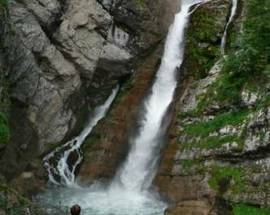 To reach the waterfall it’s a roughly 30 minutes walk up a thickly forested slope. 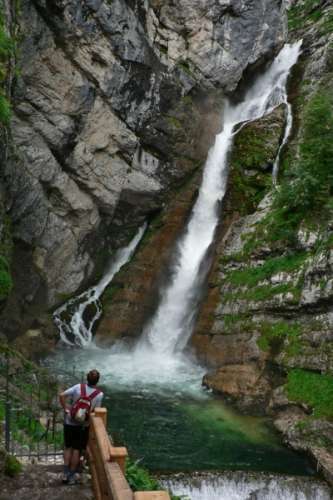 The waterfall itself drops a towering 78m into a large water sink, which is located at an altitude of 500m. 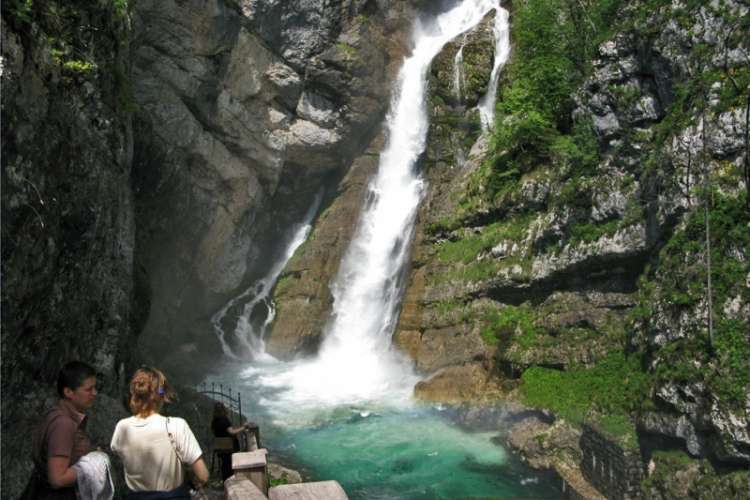 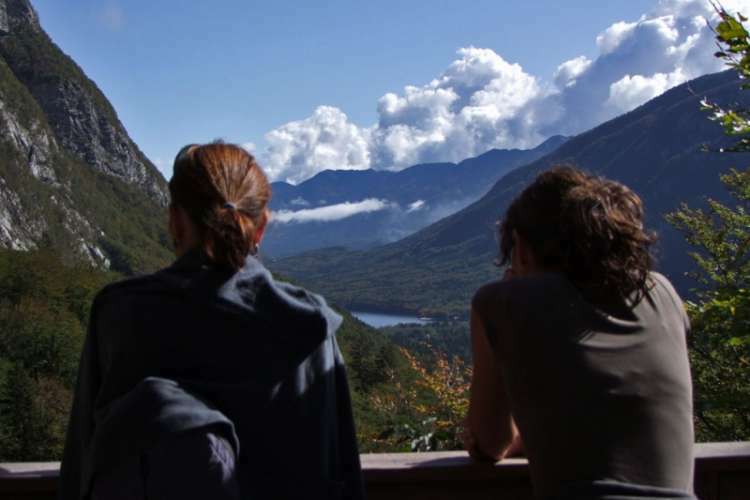 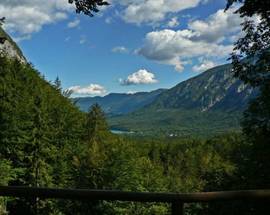 An inspirational sight, it has often been written about by well-known Slovenian poets and writers. 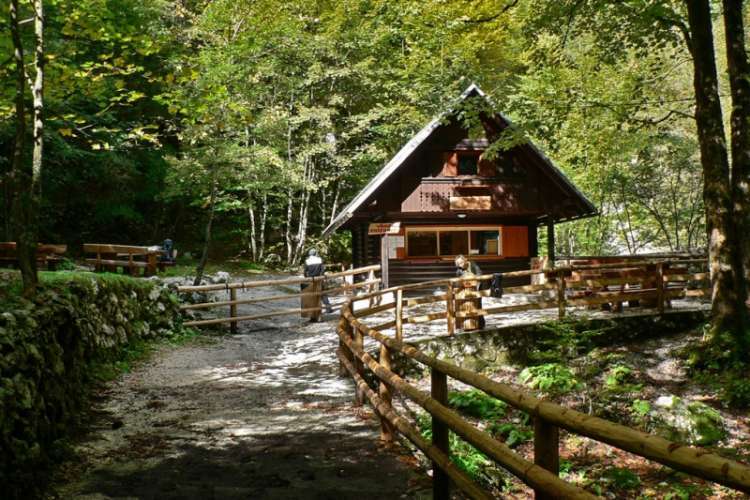 A small entrance fee is required at the entrance to the site.